Looking for a property in Tiruvanmiyur? Have a property in Tiruvanmiyur? Tiruvanmiyur is a peaceful residential locality, with no water problem. Kalashetra road is near Bus terminal. Close to Railway station, Tidal park, and other IT offices. Close to schools Chettinad Vidyalaya and sankara Vidyalaya. Tiruvanmiyur, Chennai is rated 9 out of 10 based on 1 user reviews. Have a good knowledge of Tiruvanmiyur? Share it and become a Locality expert. 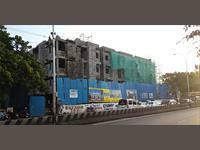 4800sft Furnished office space at Thiruvanmiyur.